Park Şamdan story had begun 34 years ago in the most attractive area of Istanbul Nişantaşı. Park Şamdan experience is a classic of Istanbul; sharing the delicious recipes of both the world and Turkish cuisine and feeling at home by the warm atmosphere. The major ingredient of Park Şamdan’s resipe is QUALITY. Park Şamdan offers an ambiance which is mixed by the nature and the city. It is a delicious place in the heart of the most high-end shopping district of Istanbul, it is also surrounded by luxury hotels and stylish art galleries. The chef Hüseyin Gürsoy steams up the world and the Turkish cuisine. The most tasteful Turkish recipes come to life by the hands of Chef Gürsoy with a magical twist of an olive oil. 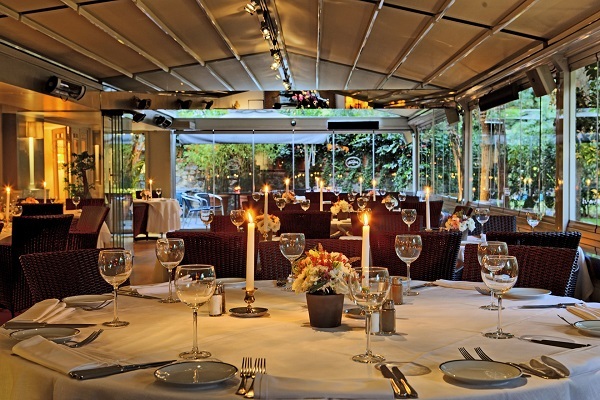 Park Şamdan is the address for a successful business lunch or an elegant dinner. Right in the middle of the greenest park of the city, in the heart of the shopping streets of Nişantaşı. Special Meals : Chop steak of Risotto, Artichokes in oil, Trotter soup.